Taking care of the elderly can be a trying and difficult task; however, if you are of the right frame of mind and know how to handle them, it can also be very fulfilling. If you have a family member who is elderly or find yourself responsible for a senior citizen then here are a few useful tips on how to take care of them. An important thing to remember is that elders need to be treated with respect; they have many years of life experience and the wisdom that comes with it. Never brush aside what the elderly have to say. Even if you are the one taking care of them, that doesn’t mean that they don’t know more than you do in certain aspects. Old people especially despise being treated like they can’t do anything on their own. You need to remember that they are not children and that they are capable in many ways. Therefore, treat them with the respect that they deserve. They will appreciate this and love you more for it as well. When one grows old, one has the tendency to become stubborn and difficult. Old people are set in their ways and usually dislike change. Therefore, you have to have patience and tolerance when dealing with them. Keep your temper in check and leave them a large margin. For example, some elderly people may refuse to visit the doctor when they have to or take their mediation on time. Times like this can be very trying on the one taking care of them. Therefore the caregiver needs to maintain strong patience and fortitude when engaging with the elderly. Many of the elderly are reluctant to admit when they have a problem or they need help; some may dislike the idea of accepting help from others. That’s why, as the one responsible for them, you need to be able to identify when they have any problems and then address them. For example, you may have an elderly relative who insists on living alone but you realize that they are not capable of successfully taking care of themselves. 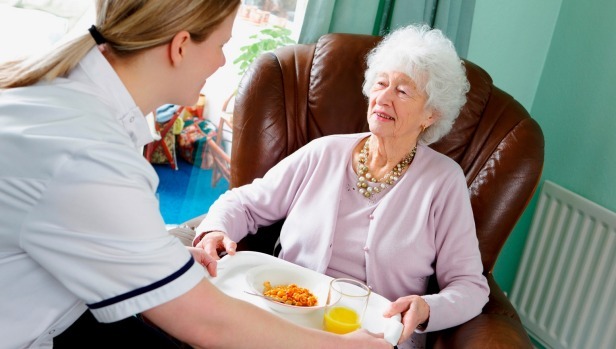 Therefore you may look into reliable care services and hire someone to look after your relative. It is important to talk to your elderly relation or the elderly person you are responsible for and get to know them better. Ask them about their likes and dislikes, their interests and hobbies and their life experiences. The elderly always love having someone to talk to and will appreciate you lending your ear to them.